From combing the web for the best game deals, improving your PC performance in-game, to recording then sharing your in-game moments on Facebook and YouTube, and even backing up your save games in the cloud, Cortex is the free all-in-one software which gives you the best gaming experience possible. First Free System Cleaner for Gamers: The free System Cleaner has been developed with gamers in mind. It is capable of clearing all kinds of unwanted junk files including those left behind by game launchers such as Steam, GOG, Battle.net, and more for optimized PC gaming performance. New CPU Core for Prioritizing Gaming: The newly added CPU core technology in Razer Cortex 9.0 ends non-essential processes and allows the CPU to balance resources and maximize gaming FPS. Non-gaming processes are isolated in one core while the other cores are dedicated solely to gaming. Instant Game Deals: Razer Cortex 9.0 is now faster and more responsive in catching discounts or deals on games that have been previously added to a user's wish list. The game price comparison engine in Razer Cortex 9.0 monitors every price drop across 15 supported platforms, so gamers can instantly find the best game deals. Improves your PC’s performance by managing and killing processes and apps you don’t need while gaming (like business apps and background helpers). This frees up valuable resources and RAM that’s needed by intense games, and can fix some problems like stuttering graphics and laggy gameplay. PCs with spin drives will benefit from defragging which reduces the travel distance of the drive head. Unlike common defrag apps that clump apps together and data together, Cortex: Boost defrags game folders; so game app and game data is closer. That means quicker loading times for games and faster access to maps and level changes. With games from Steam, Origin, GOG.com, and even those installed via CD-ROM, playing one often requires you to start up multiple game clients separately. Razer Cortex: Launch organizes all your titles in one place so you don’t have to spend time searching, simply by automatically scanning your system for games. Once you select a game from the library, Cortex: Launch automatically starts both the corresponding client and game for you, just like that. Usual save game backup only gives you access to your save game files. 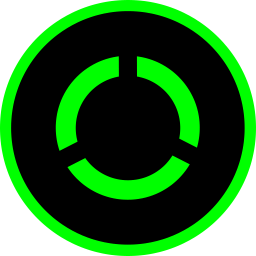 Razer Cortex: Save Game Manager takes it a step further, by saving your mods and addons as well, all onto your favorite cloud storage service whenever you save your game progress. This way, whether you’re gaming at a LAN café or on a friend’s computer, you can simply pick up where you’ve left off, without having to waste time downloading or reconfiguring. Though every gamer is unique, there are some things that are shared. Such as a passion for gaming, and the need to constantly improve. Cortex is a collection of game tools made for a variety of PC gaming systems, and more importantly, gamers. In order to constantly make it easier for gamers like yourself to focus on the game, feedback from the community is always being considered and integrated into Cortex, so it evolves to become an even more effective companion for everyone. Helps you to start recording or streaming with the push of a key, without any drops in frame rate. This lightweight software doesn’t compromise on performance as it allows you to show off what you have to everyone easier and faster than ever before. There are some in-game moments that need to be immortalized, like your guild getting server first for a raid boss, or a speed run, or even your epic pentakill. Cortex: Gamecaster allows you to stream, record and screenshot your view-worthy moments regardless of what game you’re playing. Unlike many other apps, Cortex: Gamecaster does not put limits on the length of your recording or unsightly watermarks, allowing your viewers to focus on your in-game action, completely distraction-free. The sleek in-game UI is designed to be low-key, so it stays discreet yet accessible whenever you’re gaming. Enjoy easy access to all the essential broadcasting and recording features without distractions, regardless of whether you’re burning rubber for first place or in the middle of a godlike killing streak. As you delve deeper into the streaming world, you need more to set yourself apart. With Razer Cortex: Gamecaster Pro, you can customize your BRB screen and showcase your own image overlay to create your own brand of entertainment, then show pro tips or visual cues with the use of onscreen annotations. Spice things up with the green screen effect (chroma key) on your webcam footage as you stream in full 1080p, then instantly get your viewers’ reactions and more via in-game Twitch Chat. By upgrading to Cortex: Gamecaster Pro, you’ll change your game like never before. Access free and paid VR experiences in an ever expanding library of games, cinematic VR, documentaries and other downloadable experiences in Razer Cortex: VR. OSVR - Open Source Virtual Reality is the largest open source virtual reality platform enabling industry wide hardware and content cross compatibility. With support for multiple platforms including SteamVR and Vireio Perception, thanks to OSVR, Cortex allows you to experience a limitless amount of content on a multitude of devices. Is not a store, it’s a price comparison engine that scours the internet to find the best discounts for you, so you don’t have to. Cortex: Deals compares prices across your favorite online stores and presents them to you, so you never have to worry about missing out on a deal. By comparing prices from across all the top stores, Cortex: Deals helps you to get the most savings on your games every time. No more switching between tabs to find out which store offers the best price, now, you only need to search once to be shown the lowest price and the store it’s from. No one likes missing a price drop, a flash sale, or finding out about a promotion from an email that you thought was spam, which is why Cortex: Deals is engineered to prevent any of those from happening again. By simply adding the titles you want to your Wishlist, Cortex: Deals notifies you the second there’s a price drop. You can also import your wishlist from other stores like Steam, Gamersgate, and GOG.com, and receive the same instant updates, so you’ll never miss a deal you’re interested in. From game codes, to special deals, and even in-game items, Cortex: Deals brings you the best of Razer’s many industry partners, by unlocking a world of exclusives that you wouldn’t want to miss. Plus, think of your bragging rights once you snag treats that no one else has. Even when you’re out with your friends, you don’t have to miss out on any deals. Available on your Android device or iPhone, Razer Cortex: Deals Mobile sends you updates when a promotion happens for any game on your Wishlist. You can also browse, search and compare prices, so shopping for the best deals is incredibly convenient.